Sorry, we currently have no events planned - please check back soon. 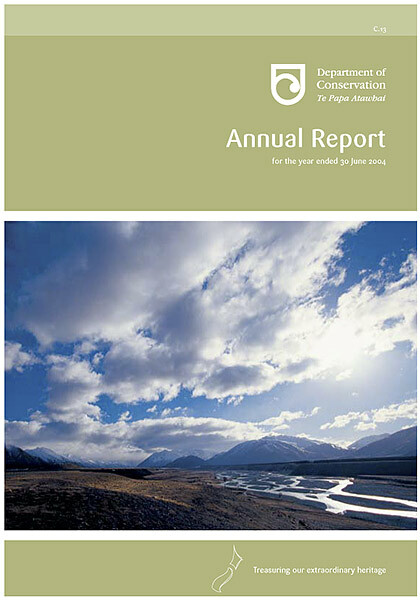 NZ Post Book Awards. 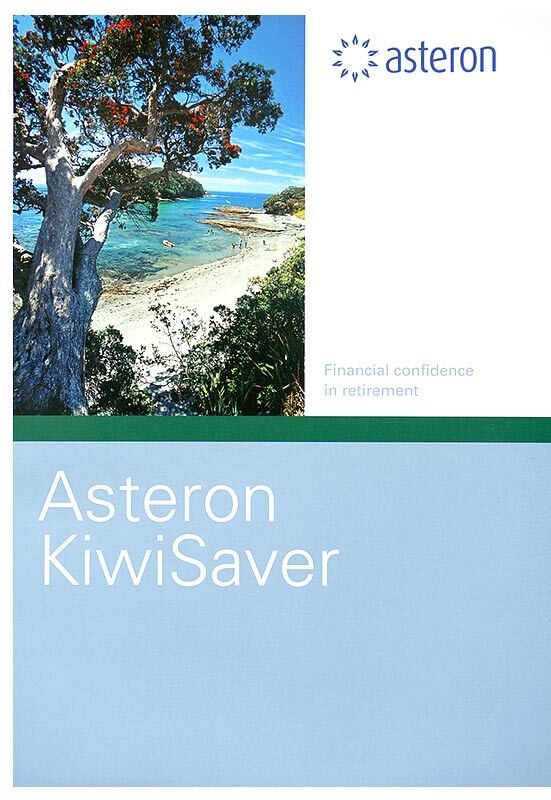 Molesworth book a WINNER! Rob Suisted & Harry Broad spent over 2 years working on a massive project to document New Zealand's largest farm station. We've been chosen as a finalist in the national Book Sellers award. After 2.5 years of work, Harry Broad and myself have finished a major work on New Zealand's largest farm station. 500,000 acres of rugged farmland estled amongst mountain ranges, with a famous history, has made a formidable project, but we're there now. Looking forward to see how it goes. Rob has been invited to address the Seddon Shield Photographic gathering as guest speaker, hosted this year by the Marlborough Camera Club. 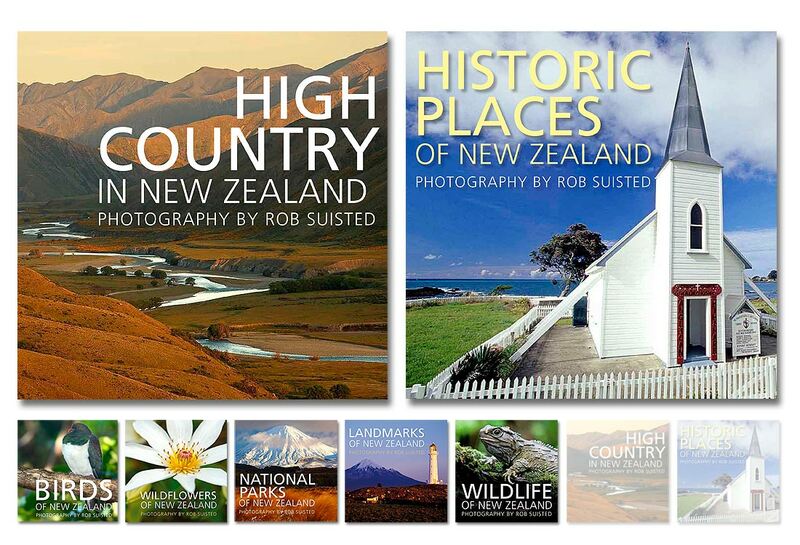 Rob has just launched two new books - one on National Parks, and one on NZ birds. That makes 9 books to his name now! 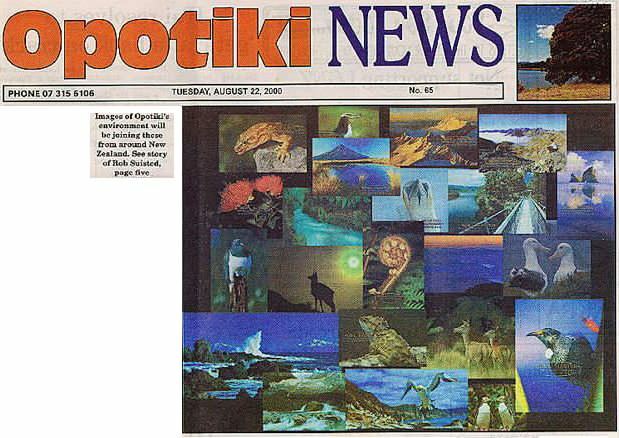 Rob will be talking about wildlife photography and his work on Mana Island (for NZ Geographic Magazine), and a new species of Weta he may have found! Come along for an interesting full day. New Quick Quote button launched for speed! 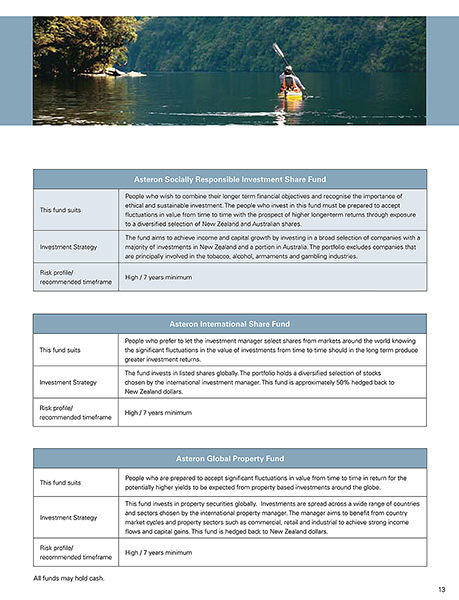 You asked for a fast quote system to get quick costings for an image. We've finished it. Called Quick Quote, it sits beside all images - it's pink and easy to find. Rob helped present awards in Auckland on 28 Oct. A top night with some deserving winners. Congratulations. 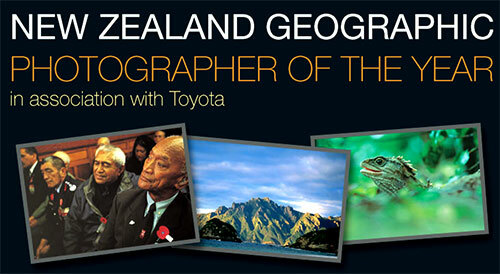 Rob's just been asked to judge the 2010 New Zealand Geographic Magazine photo competition. 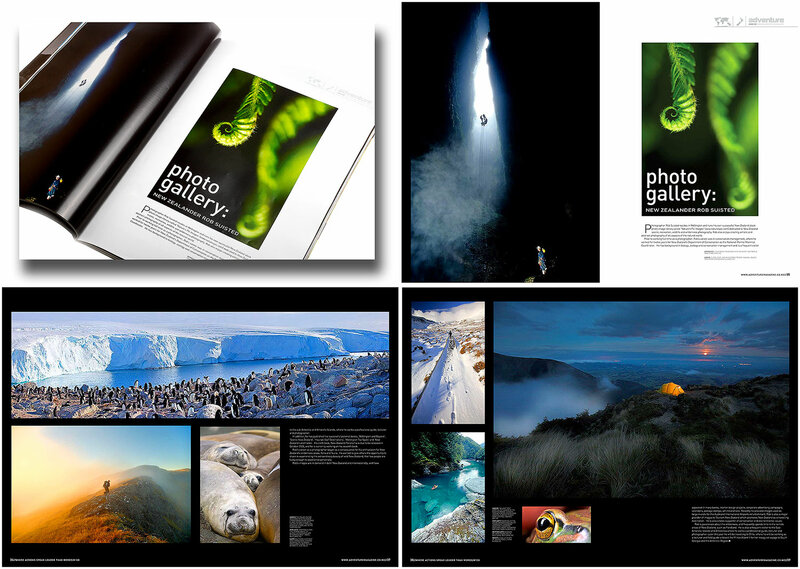 He will judge the wildlife section, and work alongside Andris Apse & Arno Gasteiger, to select the New Zealand Geographic Photographer of the Year, in September 2010. Entries open June 2010. 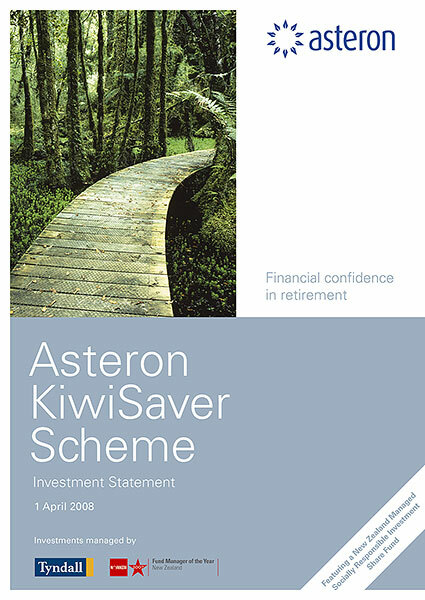 Rob will be a a guest speaker at the PSNZ National Convention 2010 in Nelson. For more information and dates, please have a look here. We're very proud of this one. Have a look here for a sneak peak. Our blog has stuff like trip reports, where's wally, tech stories, things we're proud of and our latest happenings. Trialing image tooltips to display large images for easy browsing. Roll over thumbnails and we'll show you a larger version. Don't forget to click the thumbnail if you want to see full details and more options though. 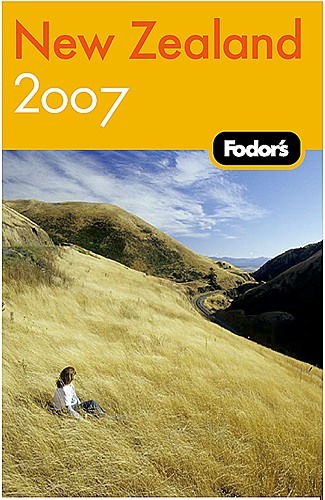 Next to the search box you'll find a checkbox to return only New Zealand photos. 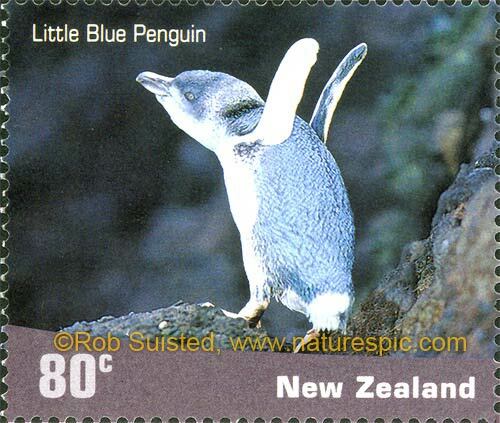 Great say if you wanted to only see NZ penguins and not Antarctic penguins (there are rather a lot!). We're really impressed by the design and print quality of these new hard cover diaries by Zoom Accelerated Digital Print and Design Ltd. Working with quality organisations that produce quality products like this is a satisfying part of our business. 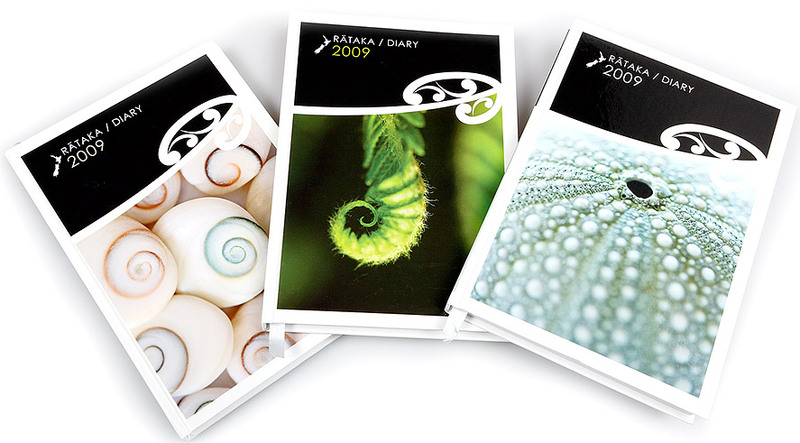 These diaries are uniquely Maori in production - maori language, proverbs and information. We think they rock! 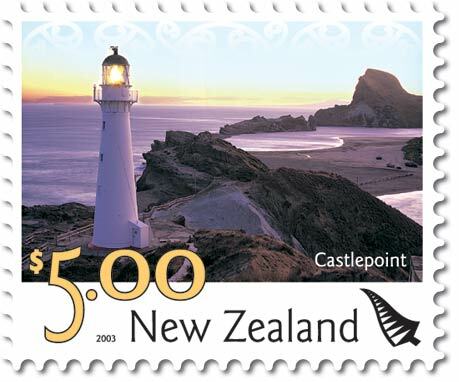 Part of the series of lighthouse stamps by New Zealand Post to mark the 150th anniversary of lighthouses in NZ. 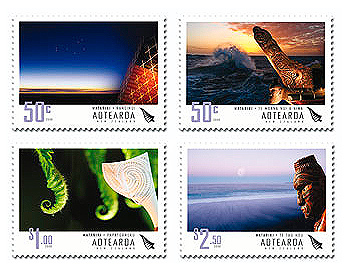 The stamp features a technological ‘landmark’ of its own – lighthouse beams that actually glow in the dark! 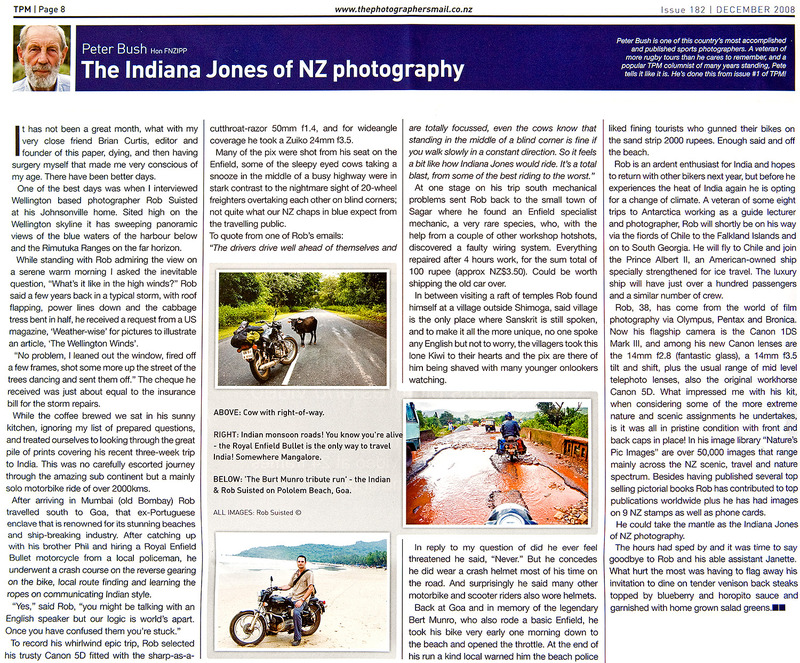 Well known photographic icon Peter Bush wrote this article after interviewing Rob about some adventures he had recently been in such as a motorcycle trip in India, and pending Chilean Fiords and Antarctic trips, labelling Rob the 'Indiana Jones of NZ photography'! 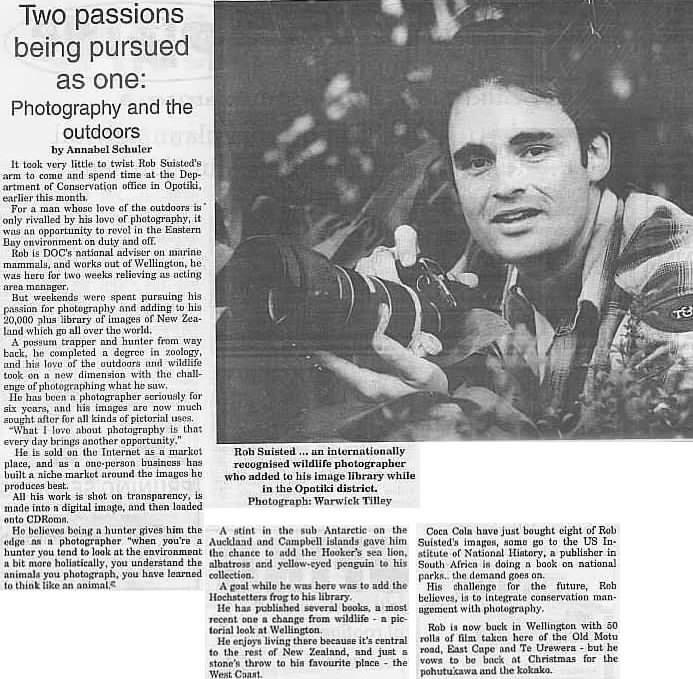 A 6 page section and article in Adventure Magazine showcases Rob Suisted's photography and explains Rob's motivations and background. We've been doing calendars together with John Sands & The Ink Group now for 11 years. Here are three of the latest offerings....available in all good book stores for Xmas! We think they look great. Leaving for a trip to India, I passed this temporary banner covering a new shop development. 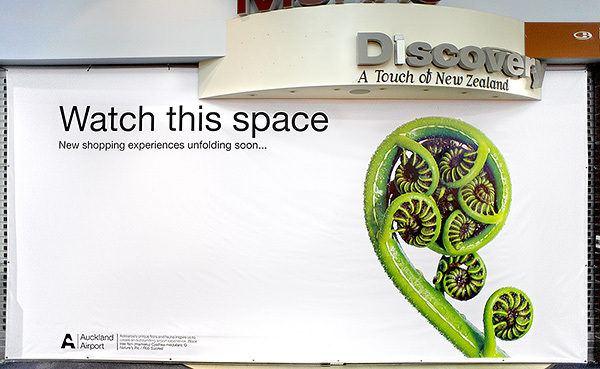 This was a fern koru I shot for AIA using the Canon 1DsMk3 22MP camera. I can't get over the clarity of this reproduction, approx. 9 feet high! Most of our images are designed to go large. 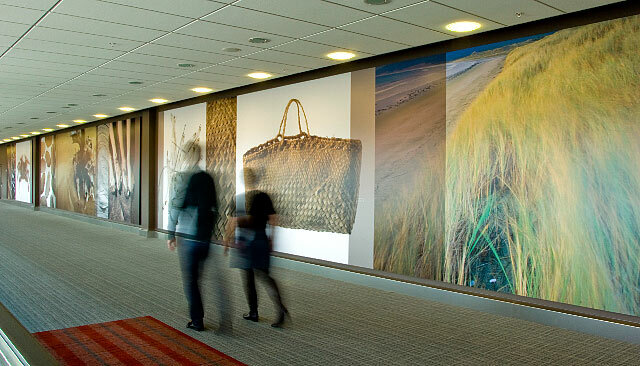 This is a good example, but I was floored though by one of our images used in the Customs Arrival Hall that we specially stitched from 10x22MP images to go approx 30 x 10metres! That's large. Sorry, I couldn't get a photo of that one. 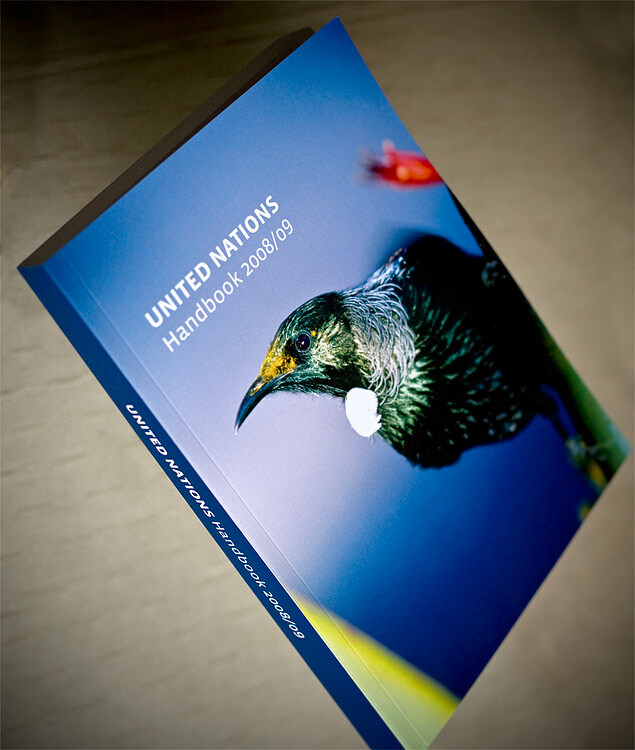 New Zealand publishes the definitive guide to United Nations matters. Thousands of copies are distributed to all countries' delegates and diplomats globally involved with UN matters, and one of Rob's photos has been selected for the cover. Please contact us if you have a commission job in mind. 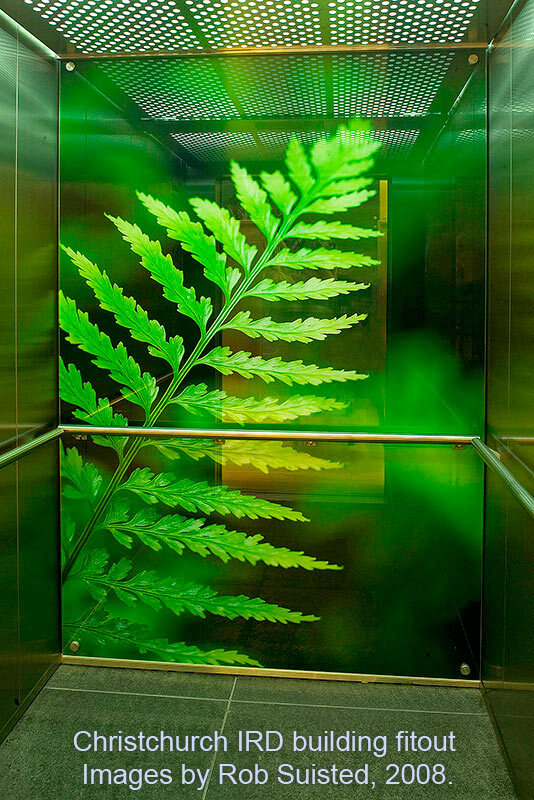 A photo by Rob Suisted has been selected for the 2009 Desk Diary produced by UNESCO to celebrate the World Heritage Convention. Death to invasive predators. We're sponsoring their misfortune!!! 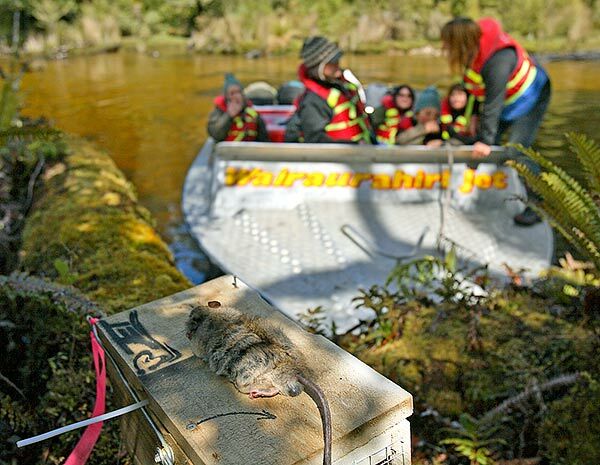 Nature's Pic Images is sponsoring a stoat trap on the Wairaurahiri River in Fiordland National Park. 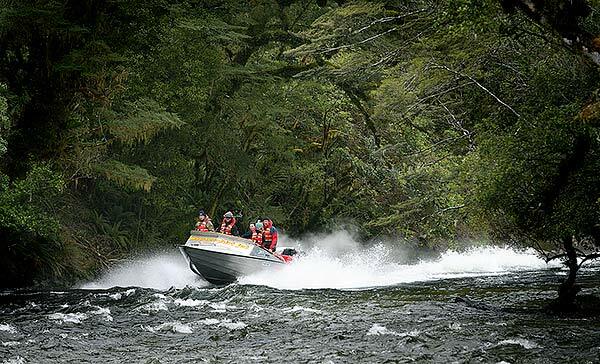 We took a ride with Johan & Joyce in their jetboat to the wild south coast of Fiordland and saw first hand how they've combined a passionate conservation project with a world class exhilarating adventure into wilderness New Zealand. 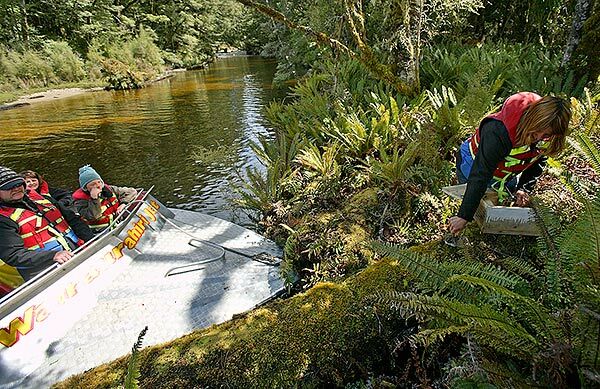 We think their conservation work ethic is fantastic, and so do others - they just won a highly commended in the Southland Environment Awards. Please go visit, and check out their work and thrilling trip. Please check out W-Jet's stoat trapping project online here. 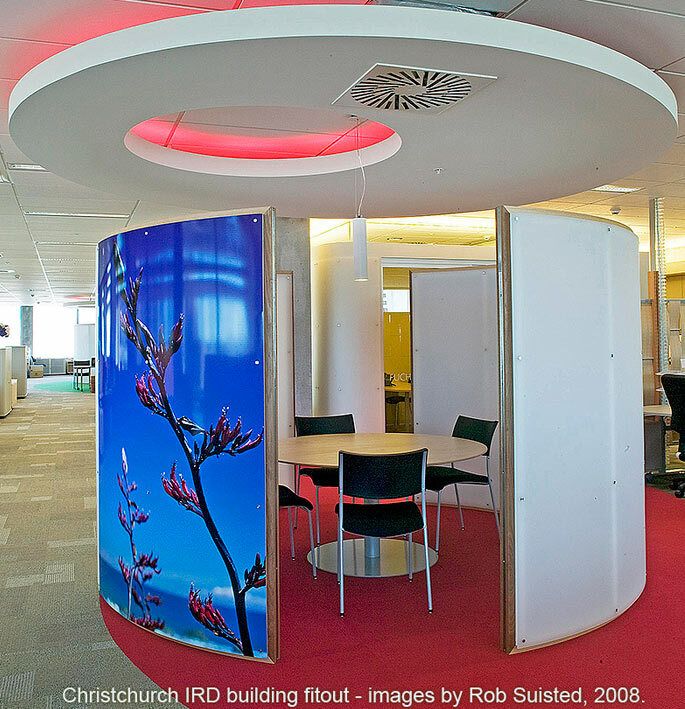 52 of our images have been used LARGE in the new Inland Revenue Building in Christchurch fit out. 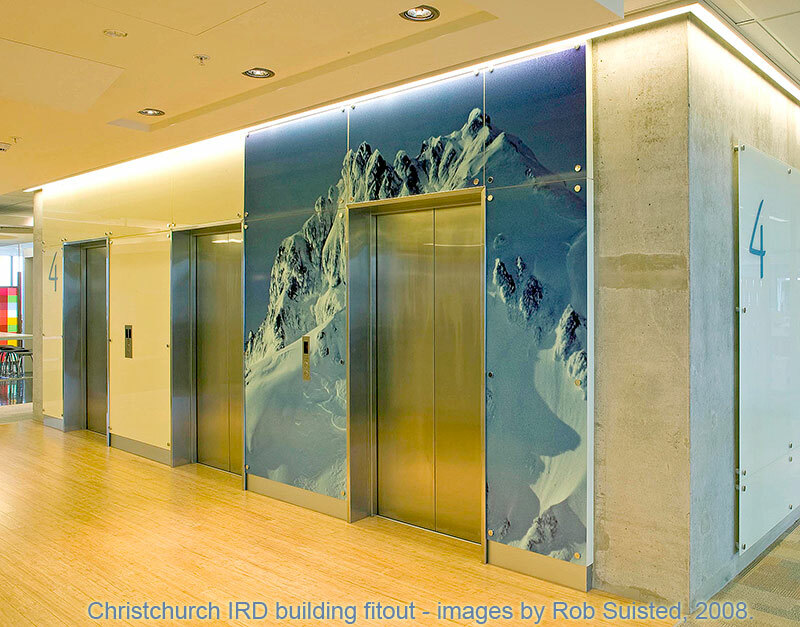 Ours were selected as they were natural NZ, and reproduce large with great quality such as in lift foyers, inside lifts and around meeting and chat spaces. The design was commissioned by Bruce and Wilkie Architects. Photos kindly provided by Murray Hedwig - Hedwig Photography and Imaging, Christchurch. Click on thumbnails for a closer look. 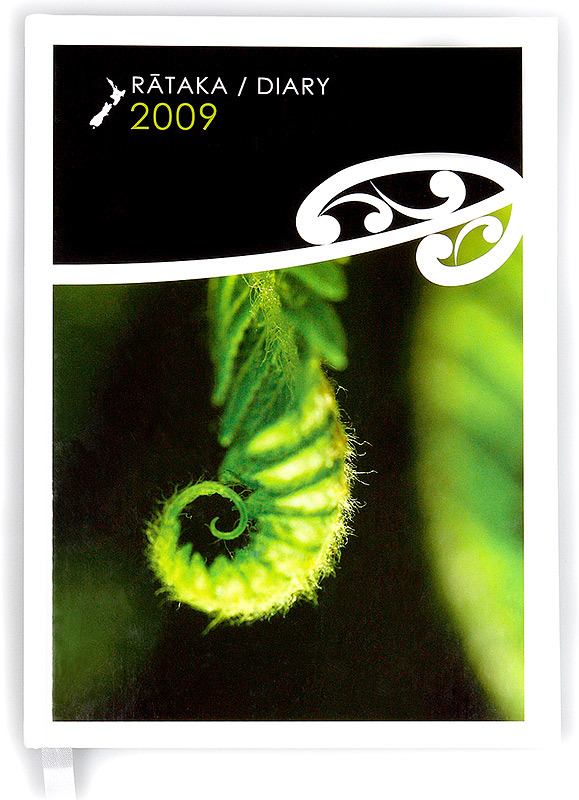 We enjoy producing the type of imagery that suits clients like Te Puni Kokiri - native, respectful and beautiful. 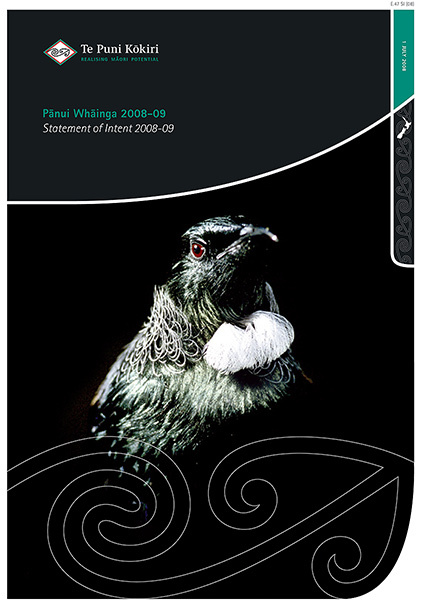 This tui photo and the black design elements really make a striking publication. 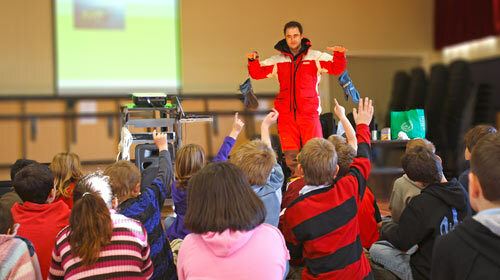 Rob gave a talk at a Lower Hutt school about the environment. Dressed in Antarctic attrire he used his experience there as a way to explain the need to look after our earth. Kids did exercises on renewable resources, & what they can do to help the planet. It was very enjoyable for all. 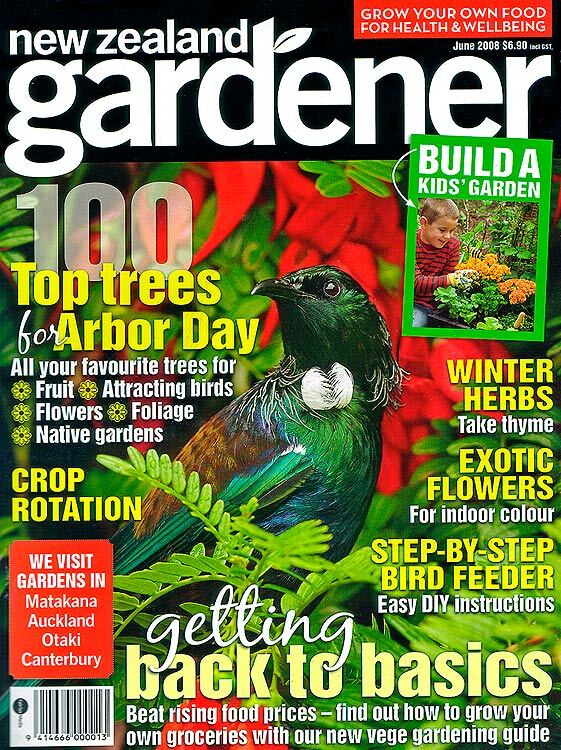 NZ Gardener Magazine selected one of Rob Suisted's shots for it's cover, and others for internal work. 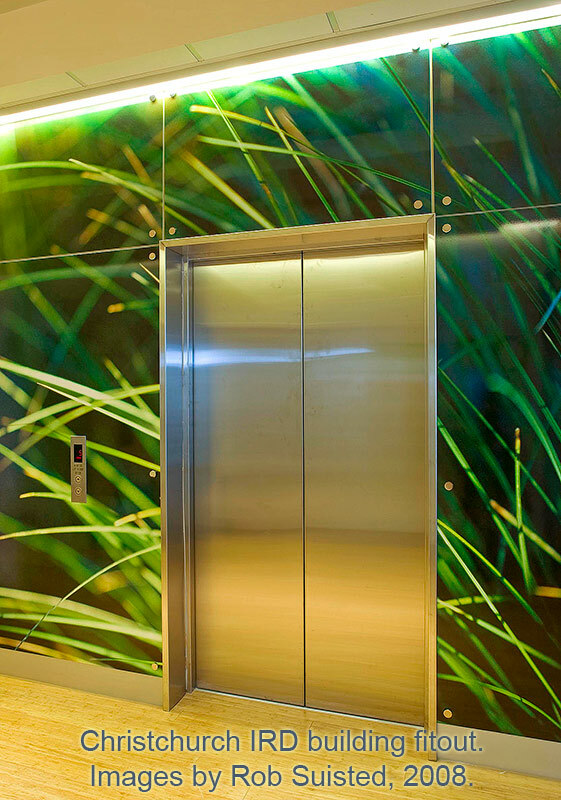 Rob Suisted and Nature's Pic Images was a major supplier to this giant project. 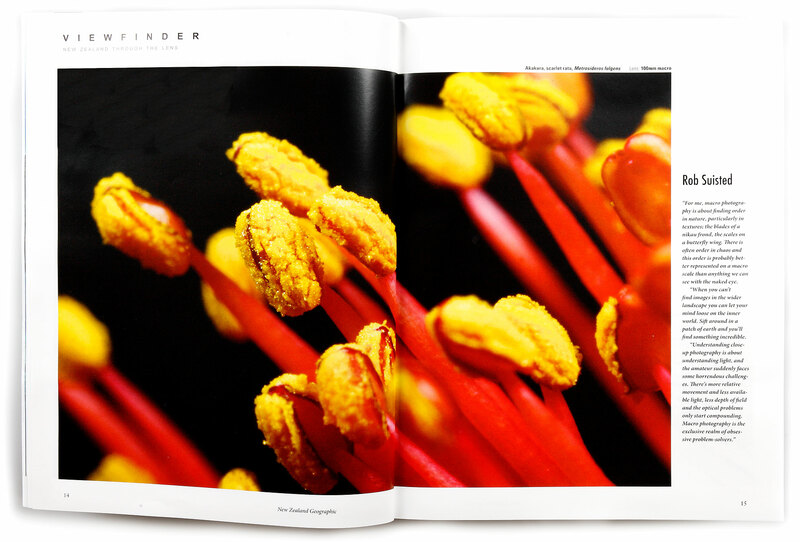 It was a satisfying to be involved, to see beautiful images reproduced in a quality way. We were a major supplier of images because we could supply the quality, range, and importantly photos of a size that could be reproduced this big! 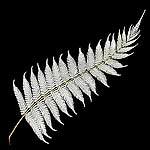 New Zealand Prime Minister Hon. 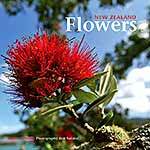 Helen Clark has selected several of our images for Xmas and other cards. 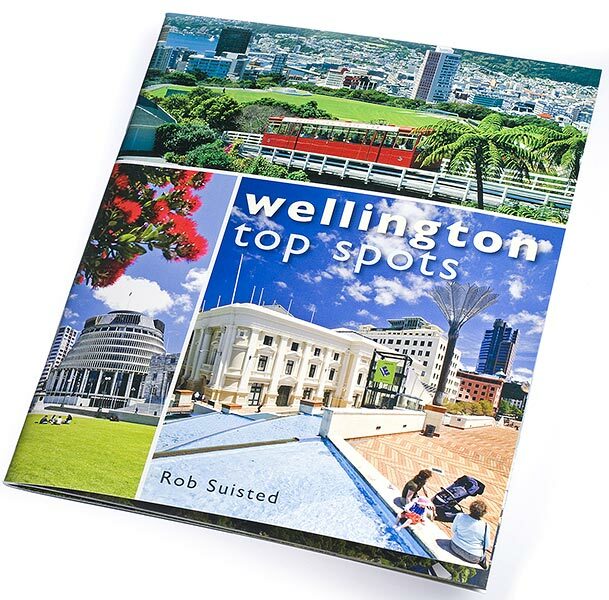 We needed a smaller, lightweight & cheaper book on Wellington for travellers, than my previous coffee table style 'Wellington and Beyond' title. Here it is. 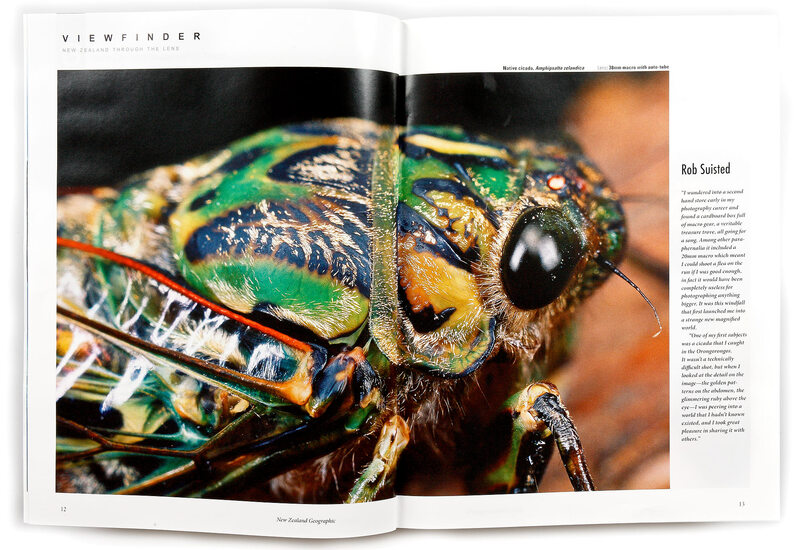 A talk on Natural History, some of Rob's favourite shots, and the stories behind them. 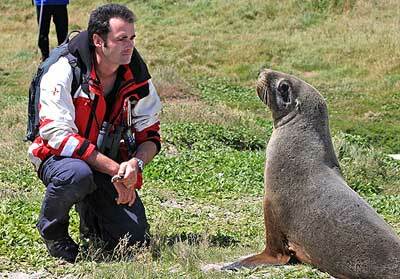 Rob Suisted has now completed 5 trips to the Ross Sea and Australian Territories of Antarctica. 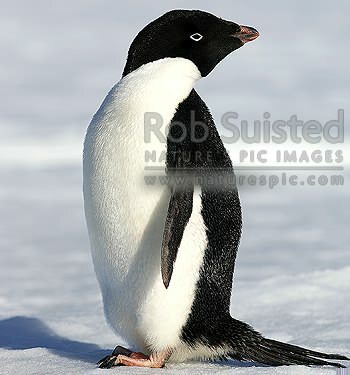 Making 900+ new images of penguins, icebergs, seals, tourism. and Shackleton's, Scott's, Mawson's and Borchgrevink's historic huts. We're currently trialing a new tool for searching on colour preferences. About 75% of our images have so far been coded, but you can start using it when you do Keyword searches. 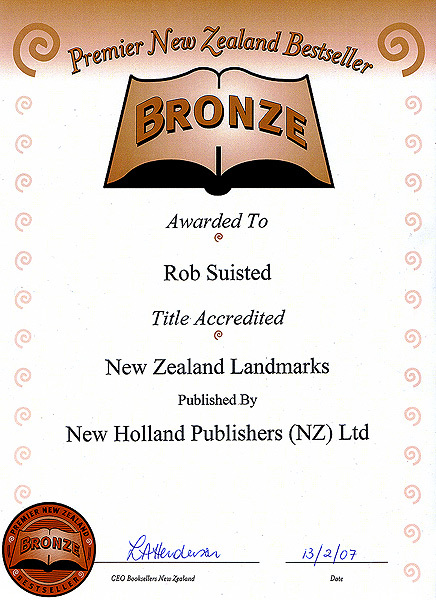 Booksellers New Zealand has awarded Rob Suisted a Bronze Sales Award for the book title 'New Zealand Landmarks'. 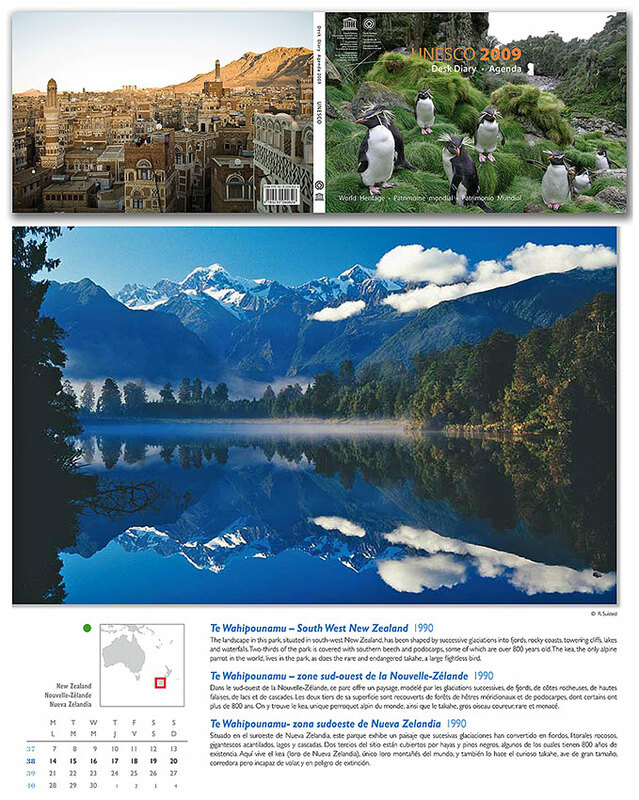 Another major international travel guide publisher has just selected Rob Suisted's imagery to market their publication worldwide. 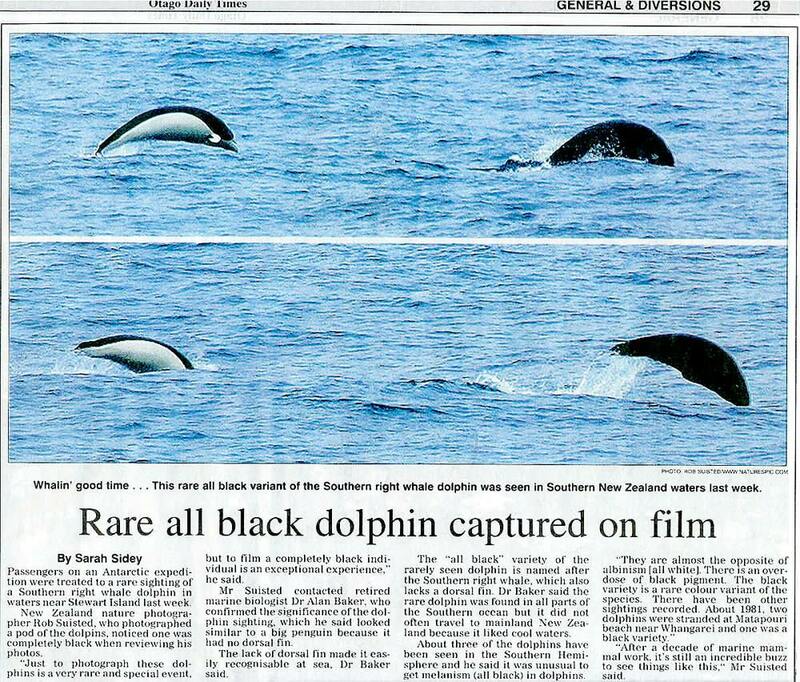 On an expedition ship to Antarctica Rob Suisted filmed a rare all black variant of a southern right whale dolphin (lissodelphis peronii). 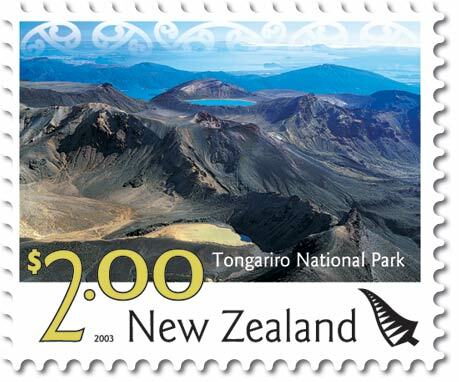 Tourism New Zealand has recently licenced dozens of Rob Suisted images for the promotion of New Zealand to the world. 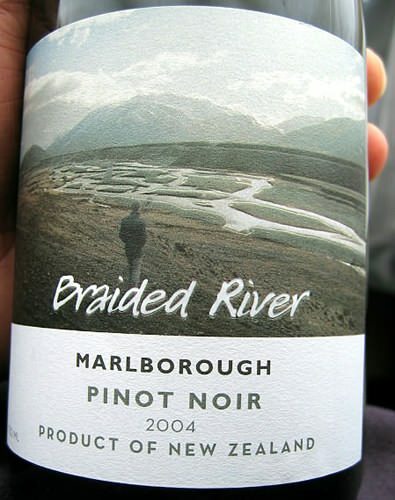 The Braided River wine label and brand has been developed with our imagery, and enhanced with a beautifully embossed quality label. 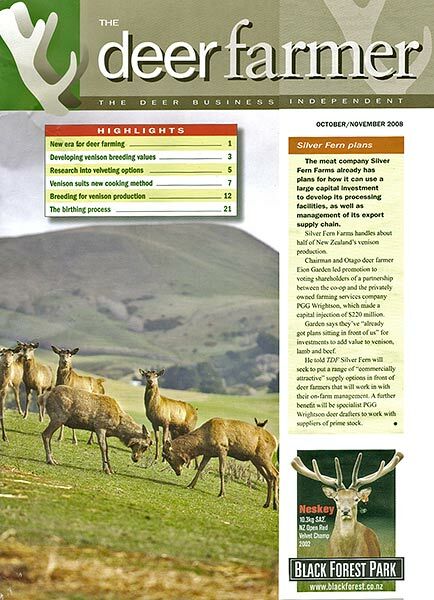 Article # 9 - 'Searching for Support'- Getting a sharper image - Tripods, supports and other methods. MAIN TALK TITLE - "The philosophical and emotional justifications for population observations and conservation in South America in a global environment dominated by disruptive insouciant phenomena and paradoxical religious hegemony". He's also going to show a few recent images from trips this year to Tasmania & California, plus a small selection of favourite images and the stories behind them. 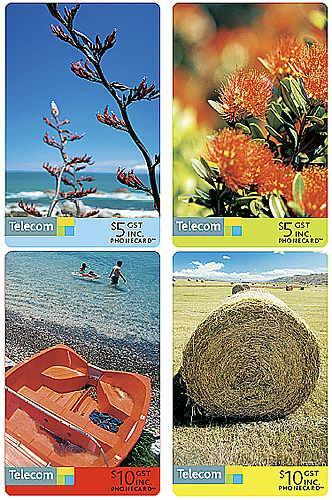 A set of four new national phone cards have been created by Telecom with images by Rob Suisted. We've just finished building a new keywording system that should make it easier for you to find the images you need. 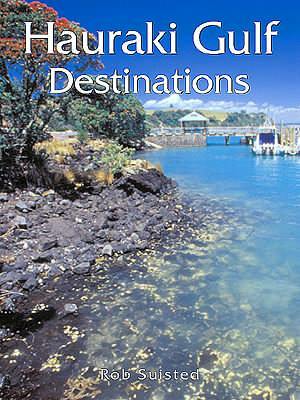 A comprehensive pictorial showcasing the Islands of the Hauraki Gulf. 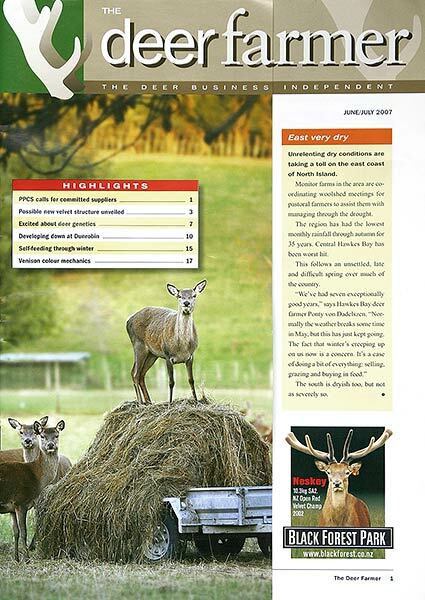 Articles originally written for NZ Outdoor Magazine in a regular column. Check out the new article here. 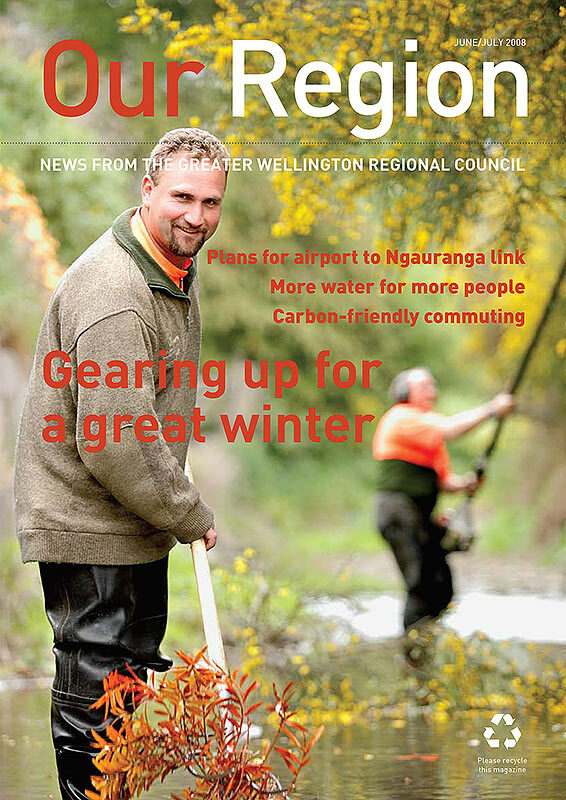 Public talk to Wellington Photographic Society. South American travel and favourite images with the stories behind them. 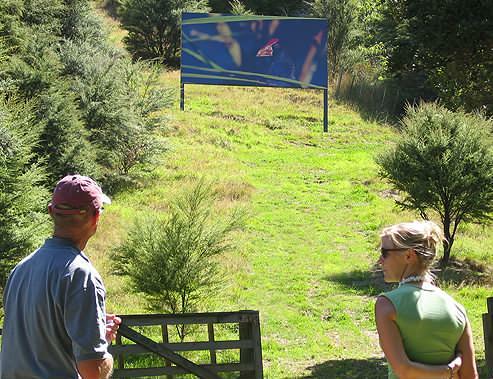 John & Jo Gow have just unveiled the latest sculpture at their wonderful Connell's Bay Sculpture Park on Waiheke Island. Article # 7 - how to get the most out of your Point and Shoot camera. We do a lot of work for Conservation, and this cover is typical of that work. We particularly like the design of this one. We've just made it better. Our new site now contains thousands of images. 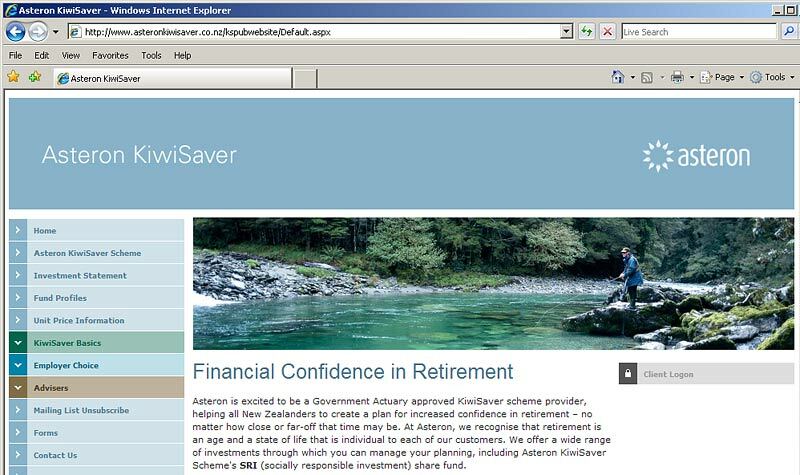 It's fully searchable and easy to browse. 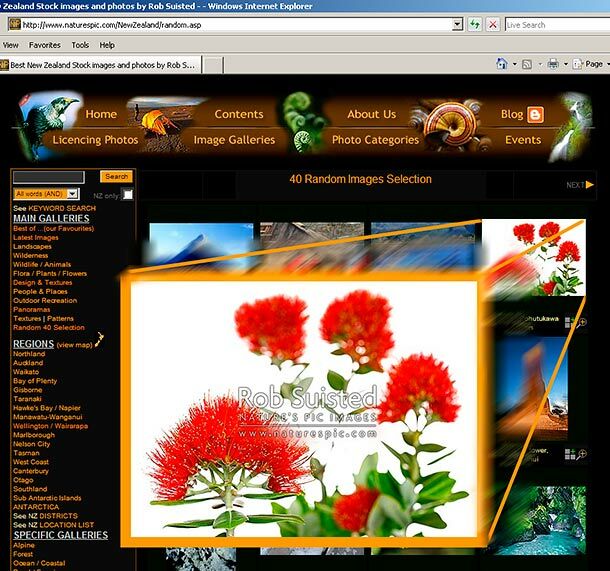 You can also save selections directly to a lightbox and ask for a quote......and thats just some of the new features. Please enjoy. It's been a massive job and we're still looking for wrinkles to iron out - if you find any we'd love to hear! 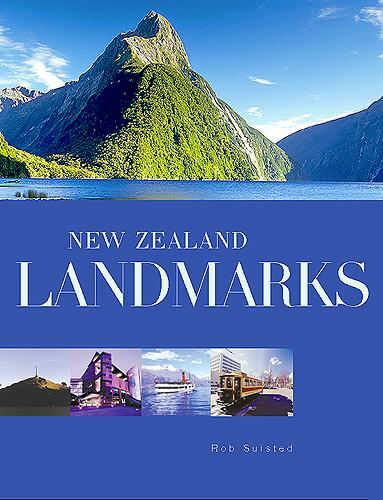 Launch of latest major pictorial book - 'New Zealand Landmarks'. 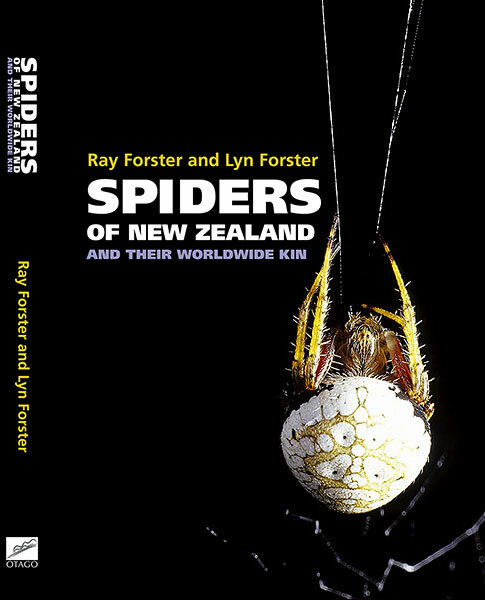 This is Rob's 3rd book and it focuses on the well known human and natural history landmarks throughout New Zealand. 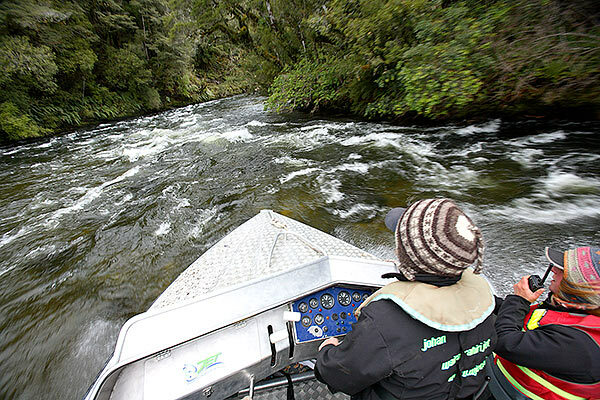 From Mitre Peak, famous icons (such as giant carrots and trout), architecture, and the unusual….like flying tearoooms in Mangaweka. In all good books shops now. 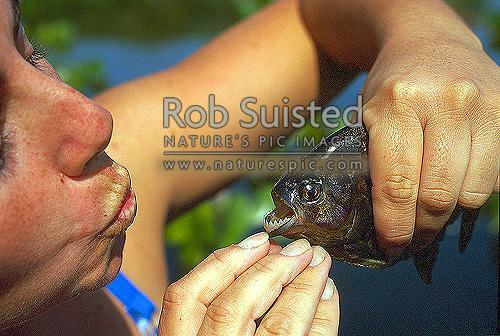 Fishing for piranhas and swimming with caimans- exciting times in Brazil. Images from a wildlife filming trip to South America. Launch of latest major pictorial book - 'Scenic New Zealand'. 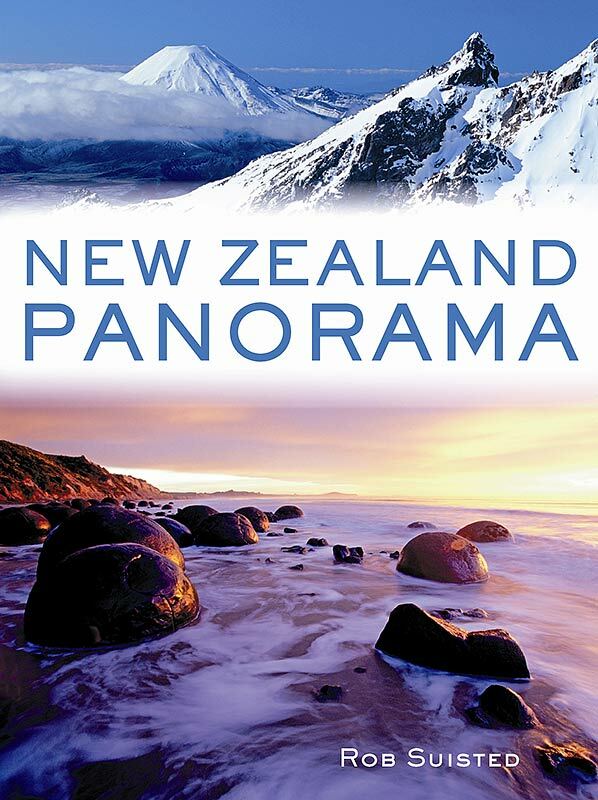 ****'Scenic New Zealand' has now entered in the New Zealand Montana Book Awards - we're proud of that! Guest speaker at Kapiti Camera Club. Presentation and comments/advice on entries. Presentaion to the Hutt Valley Tramping Club, Wellington. Many thanks for your presentation to our Society earlier this year. The members thoroughly enjoyed the presentation and information you readily gave. You have some truly stunning images and the effort and planning required to get to some of our remote regions shows your dedication and professionalism. Personally I thought your presentation was outstanding and was certainly the highlight of the year. Kind regards Stephen Wright (NPSNZ)"
Opening session at the New Zealand Antarctic Society branch meeting. Symposium on the New Zealand Subantarctic Islands. 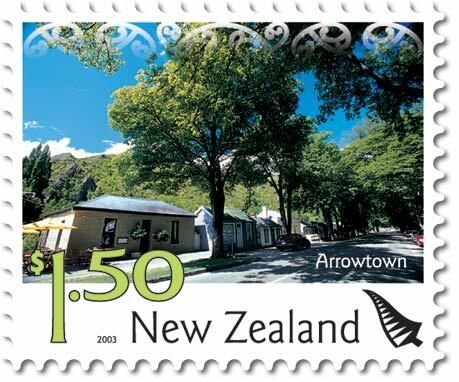 Penguin stamps launched by New Zealand Post featuring image by Rob Suisted. Ministry of Agriculture Quarantine selected one of Rob Suisted's images for the cover of their visitor arrival pamphlets. First print run of 1 million copies - wow! Seen by every new visitor to NZ. A photographic exploration of New Zealand (and our sub antarctic islands) with many of Rob Suisted's favourite images - as some of the tales behind them. 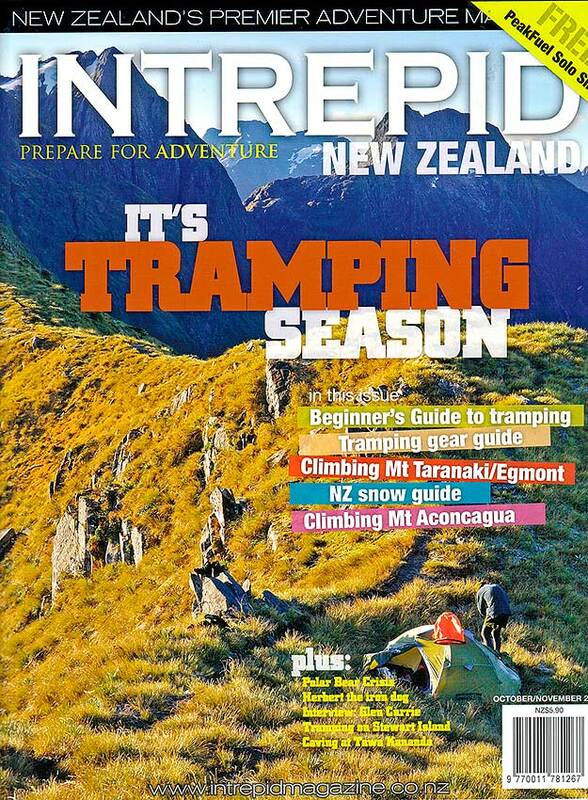 Presented to the Tararua Tramping Club. 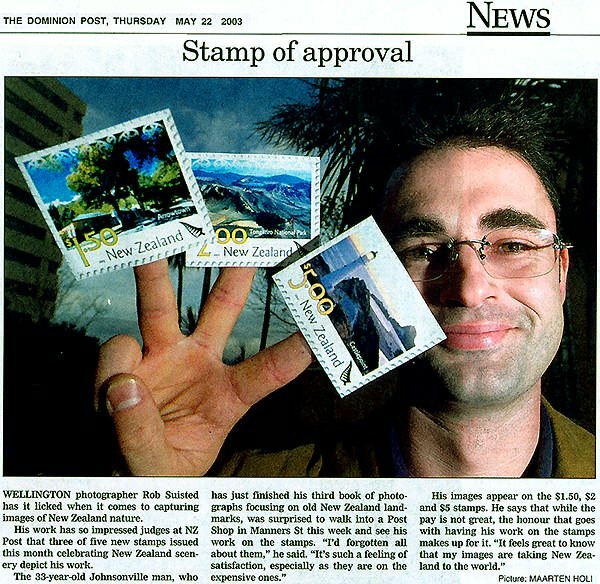 Kodak sponsored guest lecture by Rob Suisted at Massey University Wellington Campus. Nature and Scenic Photography - technique, and running a successful stock photography business. 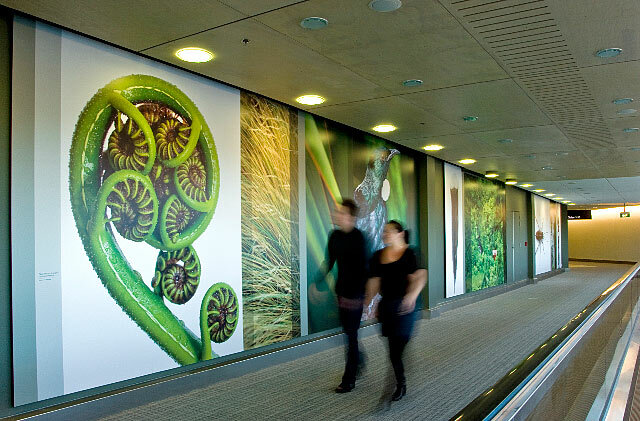 Unveiling of the huge new Coca Cola billboard in Wellington made up of Nature's Pic Images. 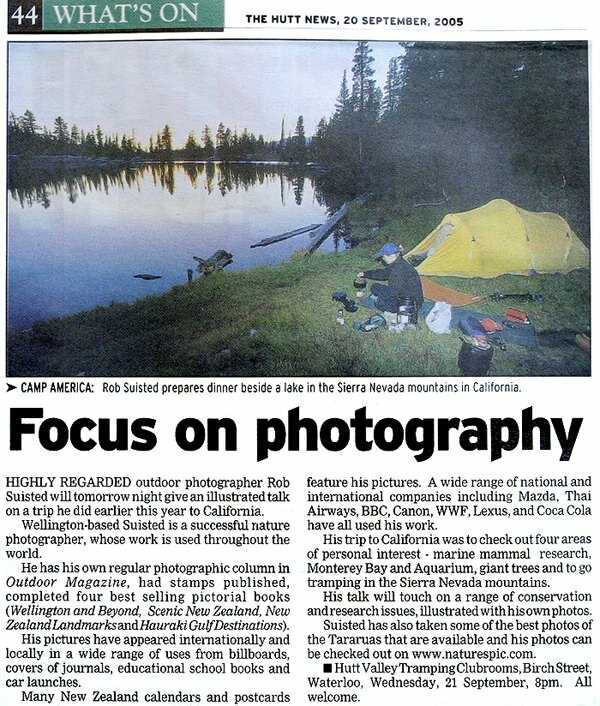 Newspaper interview of Rob Suisted in the Opotiki News. 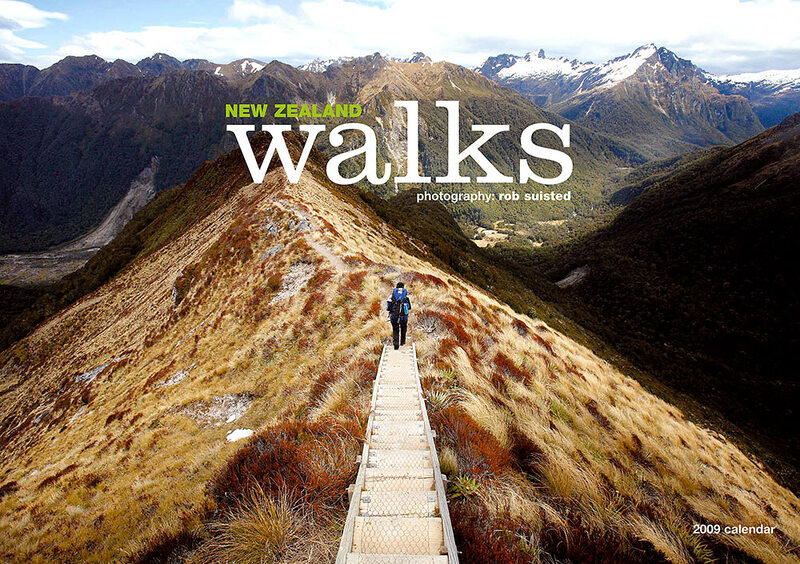 Photographic presentation and talk to Hutt Valley Tramping Club. 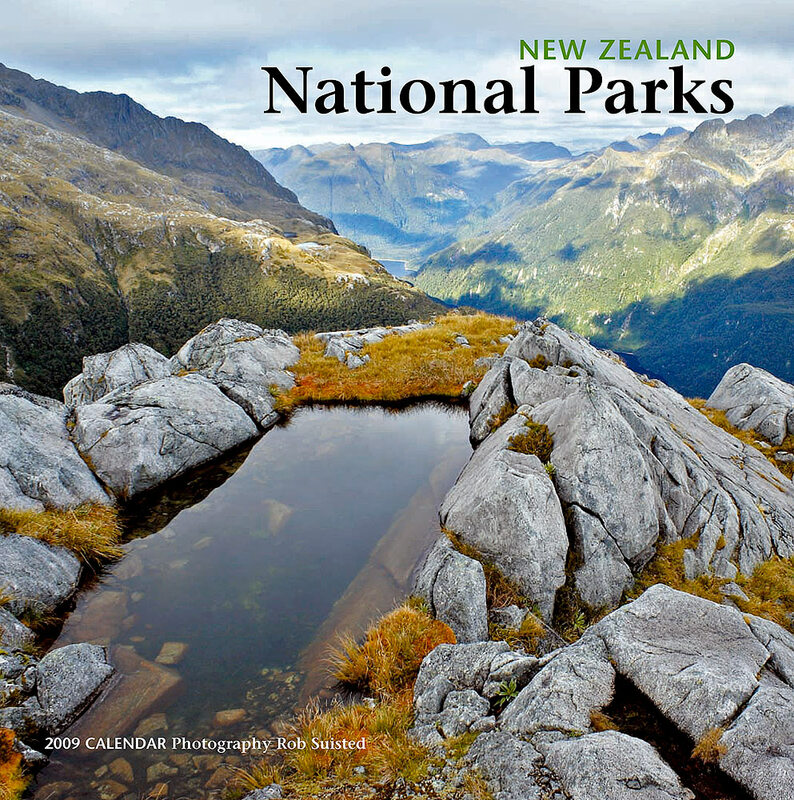 Photographic presentation and talk to Photographic Society of New Zealand - Wellington Branch. Judging of New Zealand Alpine Club - Wellington Branch annual photographic competition and public photographic presentation. 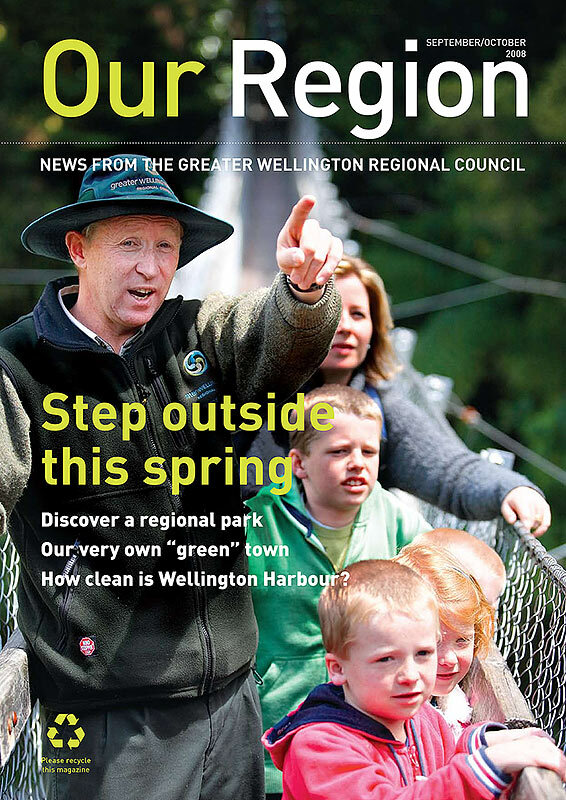 Launch of book - 'Wellington & Beyond' by his worship the Mayor of Wellington - Mark Blumsky. 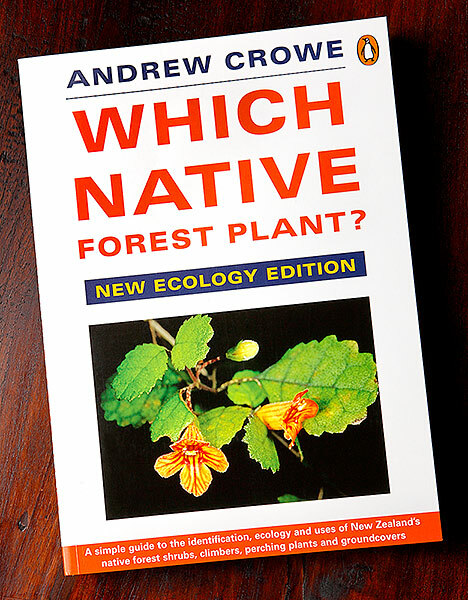 This book has become a regional best seller that we've reprinted several times now. You can check it out and order it online from us.